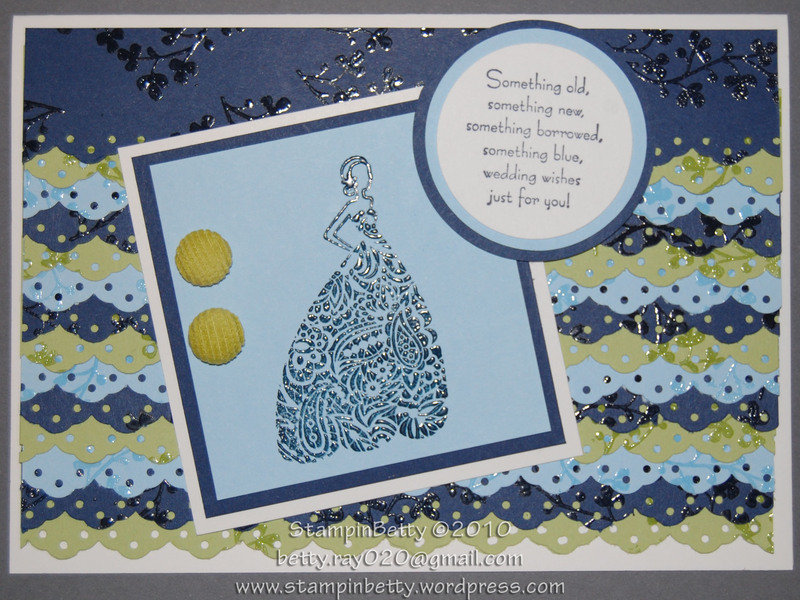 Yesterday my blog hit its first milestone…..The StampinBetty blog has exceeded 1000 visitors! Wow!!! I’m a bit stunned, and I am so incredibly motivated to keep up with my challenge of completing 365 Stampin’ Up! projects in 365 days. Even though this card looks quite clean and simple I actually put a lot of work into it, including heat embossing the background on the paper, and making the flowers. I just love making my own patterned paper, and embellishments. I often regret the amount of money I used to spend on store-bought embellishments (stickers, flowers, rub-ons, etc) because they all just sat around and got out-dated. For whatever reason I always end up making my own embellishments, they just seem to flow better that way, whereas whenever I use stickers or such they always end up looking awkward and out of place…. Remember to shop at my Stampin Up! site for all your Stampin Supplies. Tags: Awash With Flowers, Brayer, Circle Scissors Plus, Medallion Background, Sizzix, stampin up. As many of you probably know Michelle Zindorf is AMAZING at making cards with brayer techniques. You can check out her blog here. She does tons of tutorials on her techniques, and actually tours parts of the country doing Brayer Classes. 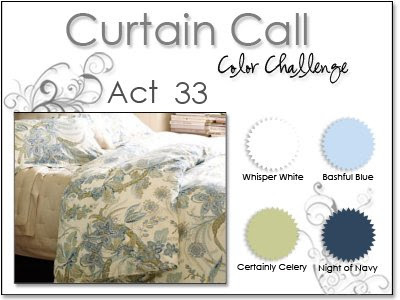 I first stumbled upon her blog when browsing over samples at a site that is for Stampin’ UP! demonstrators only. I go there almost everyday to get inspiration or see what colors or stamp sets are HOT right now. Another demonstrator had posted a very similar card and a link to Michelle Zindorf’s site. I am so glad she did. I had purchased my Stampin’ UP! brayer well over a year ago and I had yet to even take it out of the package as I hadn’t a clue how to use it, and the longer I left it sitting in its package the more and more I began to truly believe that it was likely just a disaster waiting to happen, and mess that would take too much energy to clean up…..Well thank you Michelle Zindorf…..If I hadn’t seen how she makes the colors just come alive that brayer would still be sitting in its package. While I still don’t really have a clue about how to “properly” use a brayer I gotta pat myself on the back and say my card looks dang good for someone who just looked at a picture and crossed her fingers. While Michelle Zindorf does an EXCELLENT job at telling you the step by step of which materials she is using, and the order in which she is doing them…..I couldn’t find any directions on HOW she was actually doing this….i.e….how the heck do I actually roll this darn thing and come up with the magic she does instead of a bunch of smears on the paper where you can actually see where the edge of the brayer was. Somehow, by what can ONLY be explained as pure magic, once I was finished with the card and had everything assembled, all those brayer edge blemishes have vanished?????? It makes perfect sense why she does not go in-depth in the process of using the brayer….she holds classes where she gets paid to teach these techniques, so it would be counter-intuitive for her to give that info out for free on the internet. I can’t blame her for that….I’m out here trying to make a buck too 🙂 But if she ever stumbled across my rambling newby blog and felt sorry for this poor girl and wanted to shoot me a few tips I would definitely be all ears. 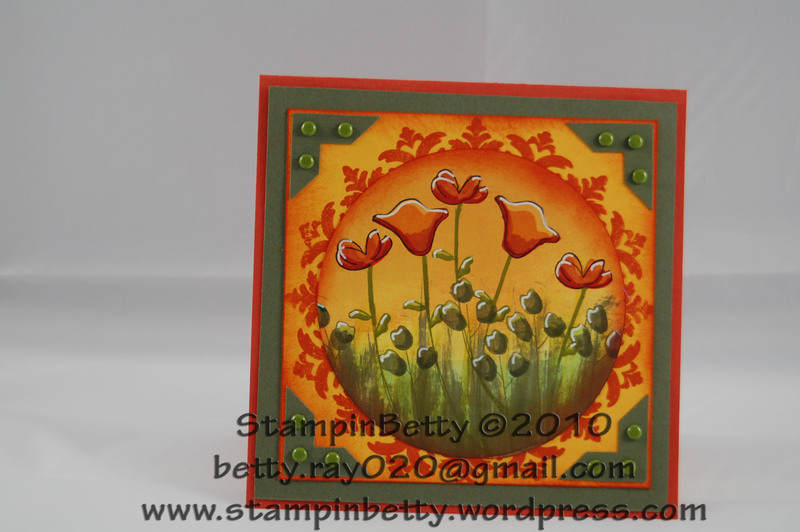 Well on to the task at hand…..my 2nd project on my quest to 365 Stampin’ Up! projects in 365 days….This is my attempt at Michelle Zindorf’s “Sunny Day” card that she posted just last week. Remember that you can purchase all the Stampin’ UP! items used in this project HERE. I have the link set up so that it opens in a new window making it easy for you to see which supplies are used in this window, and locating them in my Stampin’ UP! shop in the other window. look the same without the white highlights!!!! ), Brayer, Sponge, and Old Olive Brads. 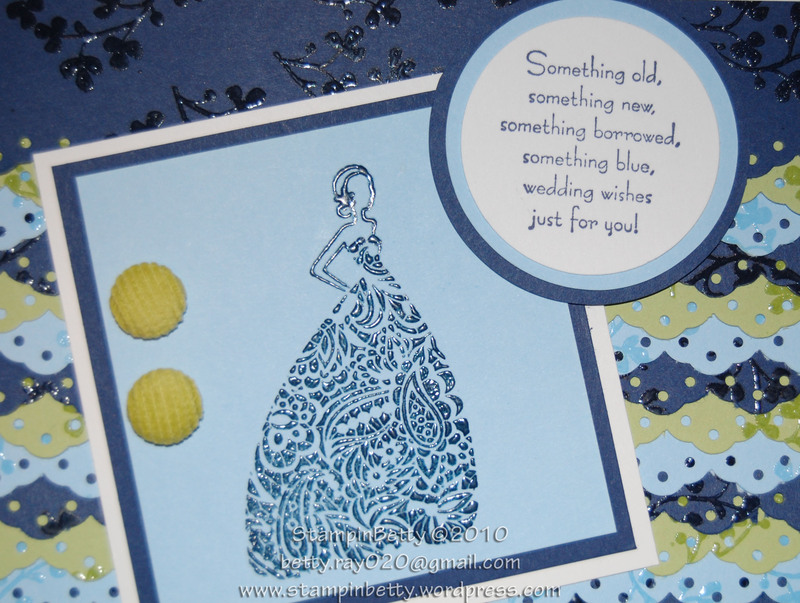 I’m not going to go into the specifics on how to do this since this card is completely copied from Michelle Zindorf’s (and I have included a link to her blog above if you want to follow the step by step, and she rightfully asks that others do not post HER tutorials on their sites.) I am still in amazement that the Circle on this card started off as plain WHITE cardstock. I have a feeling that Michelle Zindorf will be the inspiration of several projects to come….hopefully as I better learn the brayer technique I will veer into creating my own creations and not rely on complete and utter copying of her art. I still look at my card and can’t believe that I really made that!!! Well that is all for now….back to work to figure out what project #3 of 365 will be…. Remember to Shop at My Stampin’ UP! site to help fund this adventure I have taken on.